Ultimate versatility, all the Finatic Reels are offered in both large and mid-arbor configurations. Both spools are capable of running on the same frame, allowing anglers to use three or more line weights on a single reel. 2 Plus - Combining the light weight of the 1 Plus with drag power similar to the 3 Plus, the 2 Plus creates the ultimate dry fly trout reel for 2 to 3 weight rods. We've also used in on ultra light 4 wgt rods with great success. 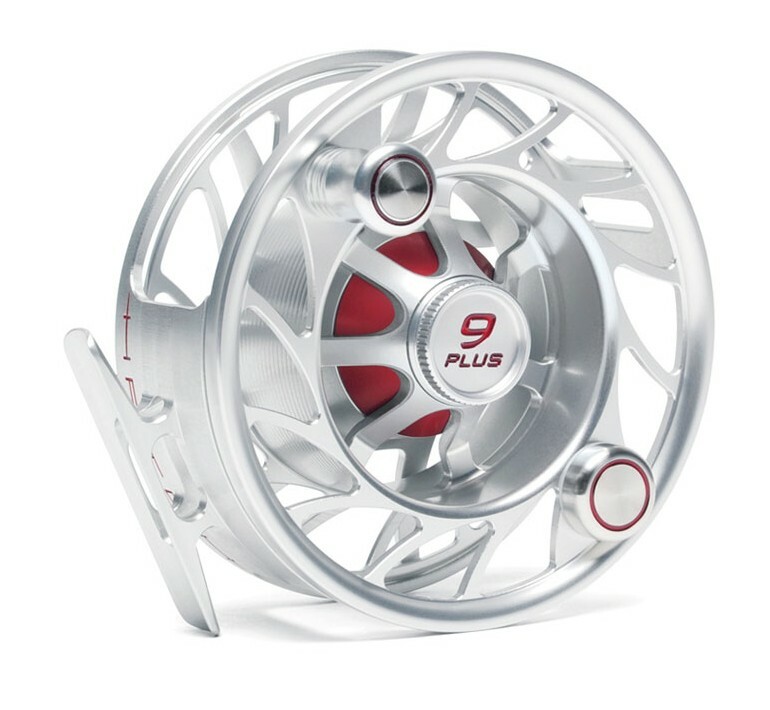 3 Plus - This is the perfect reel to accompany your favorite 4 wgt Burky, or you can rig it with a WF5F on the mid-arbor for a lightweight 5 wgt alternative. Whatever you choose, you can't go wrong with the 3 Plus. 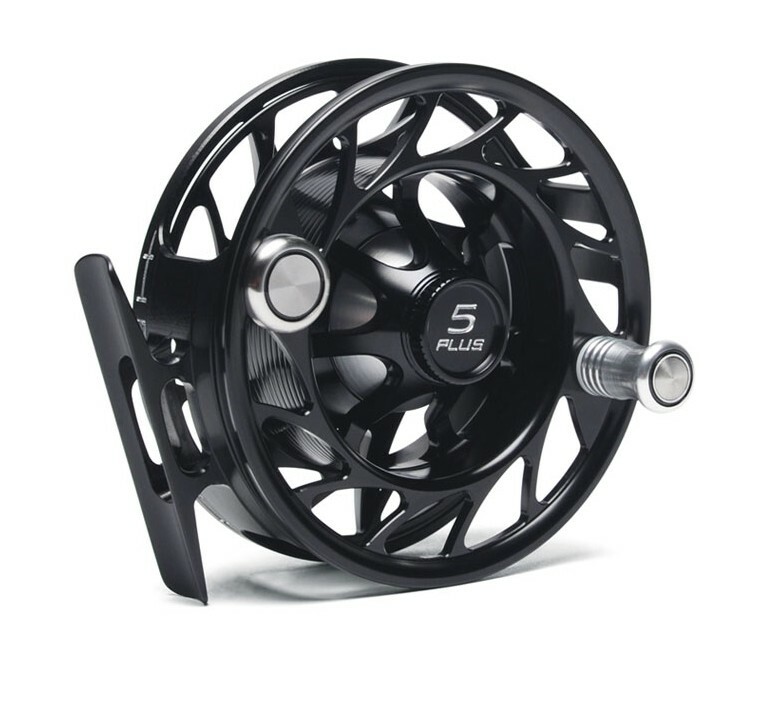 4 Plus - The perfect western trout reel, it's capable of running 4-5, and 6 wgt lines with ease. If you can only buy one reel to use for both dry and nymph fishing, then this is the one. 5 Plus - When the fish get a little bigger and harder to handle, this is the reel. Whether streamer fishing or chucking big drys at 20"+ fish. It also serves double duty as a lightweight 6 or 7 weight setup for staking bones on the flats. 7 Plus - If you were stranded on a desert island and had only one reel to bring, it should be the 7 Plus. It's the perfect crossover reel for both salt and freshwater fly fishing. From bonefish to permit or steelhead to carp, this reel has you covered. 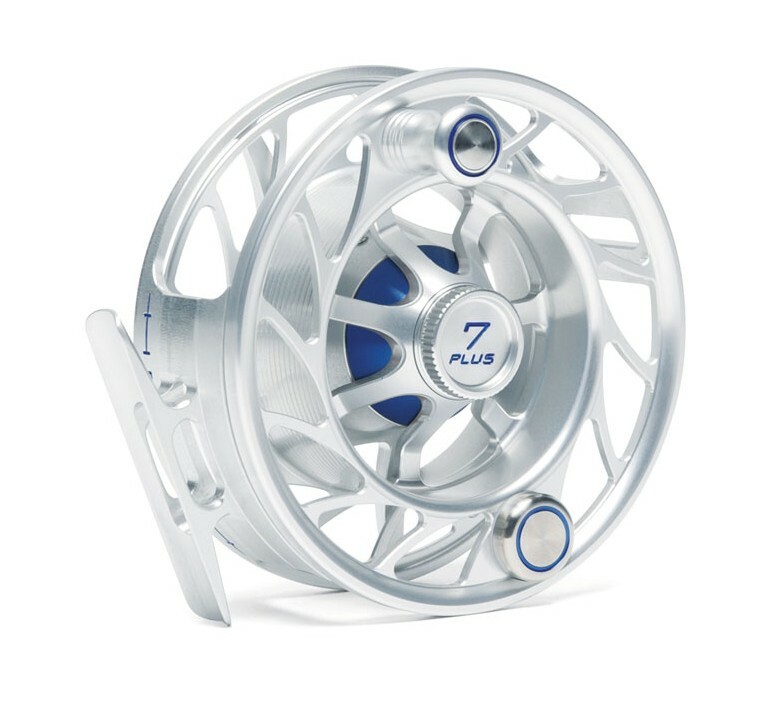 9 Plus - Capable of running 9-11 weight lines and your choice of mid or large arbor spools, this reel is one versatile hombre. If you are truly serious about saltwater or spey fishing, then this is your next reel. 11 Plus - Hatch had one thing in mind when they designed this reel: Tarpon. Bridging the gap between the 9 and 12 Plus models, an oversize handle provides greater grip control and the mid arbor options is great for spey rods from 13 to 15 feet. 12 Plus - Designed for fish that are notorious for being really hard to handle; GT's, or tuna, just to name a couple. You will not find a better fish-fighting tool on the market for these situations and it's also great for big spey applications. Clear/Red, Clear/Blue, Clear/Green, Clear/Black, Black/Silver, or the new Gray/Black. Machined Finish - Hatch doesn't polish their reels. No buff outs or cover-ups. You can see the witness marks and quality machining. Its more difficult, and takes more time, but it's worth it! Frame/Spool Connection - Making a positive frame-to-spool connection is essential. Their "power Flower" design feature locks both together creating a bomb-proof fit. Machined Reel Seat - A solid is always stronger than two pieces attached together, and by eliminating the screw you've eliminated the corrosion points. Cranks & Counterbalance - Unlike many manufactures whose counterbalance is merely cosmetic, they've made the two pieces the same weight to achieve true balance in the spool. Dimension in the Frame - Increased rigidity, strength, and reduced lateral flex. With the reel and spool together you get virtually no lateral flex when you push/pull the two. This means the reel tracks truer and it eliminates the spool wobbling in high-speed runs. Hook Guard - Keep those hooks tucked into the arbor of the reel and out of the way of your hands. Spool Tension Nut - Easily taken on and off, with or without full gloves. The nut is press-fit into the spool so it won't fall out into the water of your gear bag. Drag - A multi-disc drag cassette is employed in all models, comprised of Rulon and precision stamped stainless steel discs. With multi-disc drag, you are applying braking pressure and heat dispersion over several surfaces. This virtually eliminates start up inertia and stick slip problems.